Libraries are places where new ideas are born, places where history comes to life. As a librarian, you’re like a tour guide for all of the knowledge. Someone once said that cutting libraries during a recession is like cutting hospitals during a plague. But the economy doesn’t get it. The field is shrinking. Many library positions have been closed during the late 2000s slump. It’s doubtful they’ll reopen. If you’re serious about landing your dream librarian job, you really need to stand out from the crowd of other applicants. That you must have the best librarian resume out there. A librarian resume sample better than 9 out of 10 other resumes. How to write a librarian resume even if you have no experience. Tips and examples of how to put skills and achievements on a librarian resume. How to describe your experience on a resume for library positions to get any job you want. Here's a sample resume for a librarian made using our resume builder. What’s the Best Format for a Librarian Resume? Why do we need librarians? We’ve got Google. Librarians are superior to a search engine. Google brings back millions of answers. You bring back the right one. The resources are properly entered into your catalog. A poorly formatted resume is just as useless as a poorly cataloged library. It’s impossible to find relevant information in it. Choosing the right format for your professional librarian resume will let you emphasize the highlights of your career. So how do you choose your resume format? Long story short: go for the respected reverse-chronological format. It’s the gold standard in recruitment. It’s like a perfectly-cataloged library that contains all the important information about your career. And it’s all easy to find. It’s got one more asset: it puts your most recent job at the top of your librarian resume. So you can be sure that the peak of your career gets the most attention. But what if you’re writing an entry-level librarian resume with no experience to list? No difference. The trusted reverse-chronological resume format is still your best bet. Showcase your paraprofessional activities and volunteer experience. List your internships and academic positions. Don’t forget about your part-time jobs. The perfect template for a librarian’s resume puts relevant information first. Next, save your professional librarian resume as a PDF. The PDF format makes sure your perfect resume template stays intact. Pro Tip: Read the job posting carefully to make sure PDFs are accepted. Some Applicant Tracking Systems (ATS) cannot scan PDF files. How to Write a Librarian Resume Objective or Resume Summary? Wow, that’s one hell of an opening line, right? You’re DYING to find out more about what happened. All great writers know that the first passage will make or break their story. It has to grab the readers by their throats. Make them hungry for more. Your librarian resume isn’t too different from a novel. Just like novels, it vies for readers’ attention. The recruiters: that’s who your readers are. You need to seduce them to land an interview. Start your librarian resume with either a resume objective or resume summary - a short and sweet paragraph that explains why you’re the best librarian candidate. Should you choose a resume objective or resume summary for your librarian resume? Let’s have a look at some sample librarian resume objectives and summaries. Recent MLS program graduate looking for any school librarian job where I could apply my skills and knowledge. Detailed-oriented University of North Carolina MLS graduate seeking to leverage three years of internship and volunteer experience as a Junior Librarian with Springfield Public Schools. Designed and implemented a barcode-scanning system to make the catalog of 8000+ books intuitive and easy-to-use for pupils. Bringing working knowledge of cataloging, library assistance, and fundraising. See the difference? The candidate from the right example focused on what she can offer the employer. Make your entry-level librarian resume about the employer’s profit, not your personal gain. Creative, engaged public librarian with 15+ years experience in reference services, cataloging, and library management. Substantial knowledge of preservation, interlibrary loans, and acquisitions. 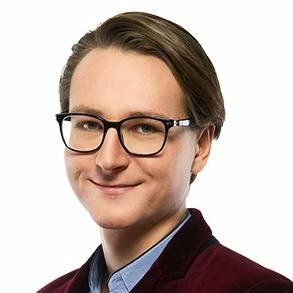 Additional experience in fundraising. Established relationships with top US fiction publishers. Awardee of 2015 Allie Beth Martin Award for “extraordinary range and depth of knowledge about books and a distinguished ability to share that knowledge.” 2010 Ph. D. in Library and Information Science at the University of Illinois. Fluent Spanish, advanced Russian. Wow, right? For library employers, this one is as precious as a signed first edition of The Great Gatsby. Hard-working, organized librarian. Experienced in bookkeeping, cataloging, and teaching. High level of IT proficiency. Good written and verbal communication and teamwork skills. What makes the second sample public librarian resume summary so bad? It’s not specific. It’s full of generic buzzwords and does not mention any verifiable skills or achievements. How long do you think it took you to read this little limerick? Exactly as long as the average recruiter spends scanning your librarian resume. Now, do you know which section of your resume is the most important for employers? This is the meat and potatoes of every good librarian resume. But you don’t want a good resume - you want the best one! So make your work experience section not just “meat and potatoes” but Kobe beef and dauphinoise! Then, list all your previous positions in reverse-chronological order. Underneath each job, add up to six bullet points. List your responsibilities and show off as many measurable achievements as you can. It is easy, true. That’s why it’s not enough. To really stand out, you need to tailor the work experience section of your librarian resume to the job description. Your relevant experience is the heart of the matter. If you’re applying for a cataloging librarian position, the employers won’t really care about how great you did teaching free high school classes in creative writing or organizing a spectacular fundraising event. They’ll want you to know the Anglo-American Cataloging Rules by heart and be fully proficient in library software. Always make sure to read the librarian job description carefully. Then, jot down all the librarian duties you’ll be expected to perform. The recruiters will be looking for the same keywords in your library resume. If you notice responsibilities that you’ve already had, mention them in your work experience section. Presto! That’s how tailoring works. Assisted library users with bibliographical information(3) and reference queries(4) both on-site and on-line(3). Key achievement: Implemented new training(5, 6) programs for circulation(6) and access services(2, 5) librarians which resulted in cutting the full training time by over 40%. If you’re thinking “well, but this one seems pretty much fine,” you’re right. But pretty much fine won’t get this candidate a job. The wrong example is wrong because it’s too general. “Assisting patrons,” “organizing interlibrary loans”? You’re a librarian, what else could you possibly do?! In contrast, the librarian from the right example listed her measurable achievements. It’s the best strategy to impress the recruiters with your library resume. The candidate used the PAR (Problem-Action-Result) formula. The candidate uses action words throughout the whole work experience section. “Supervised,” “prepared,” “assisted” - these indicate that you’re a self-starter and an achiever. “Responsible for assisting patrons” makes you come across as someone who just mindlessly does whatever they’re told. ProTip: The common advice is to keep your librarian resume one-page. It’s the wrong advice. 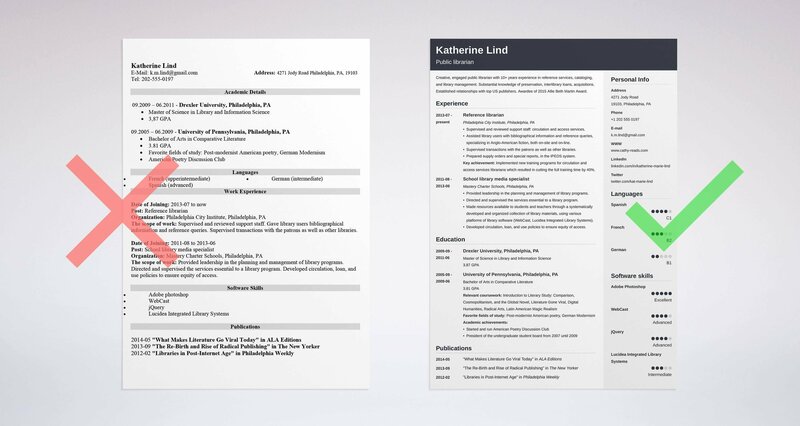 Two-page resumes are perfectly fine. Omitting important information about your career is anything but. Is your education section the easiest one to list on your librarian resume? Usually. That doesn’t mean always. If you’ve got oodles of librarian experience, the only thing you have to do is enter your highest degree of education. ProTip: The typical advice is to add your GPA if you graduated within the last three years and if it’s higher than 3.0. In fact, if you have more than three months of librarian experience, you don’t need to list it at all. Do it only if it’s exceptionally high and you’ve graduated from a top university. Things get more complicated if you’re a newbie with no experience. Say, you’re writing an entry-level teacher librarian resume. You’ve just graduated from an MLS program. You did a BA in literature. You’d be the best teacher librarian one can imagine. But you haven’t yet worked full-time in your field. If such is the case, you might consider putting your education section above your work experience. And if your Bachelor’s degree is relevant to the librarian job opening, put in on your librarian resume and relate it to the job description. For example, by listing the most relevant coursework, your favorite fields of study, the topic of your thesis, extracurricular activities, or student projects in which you participated. Now, that’s what we call a perfectly-curated education section. This job seeker might not have extensive library experience. But the detailed education section shows that she’ll handle the job well. It demonstrates her sense of purpose in starting out on a teacher librarian career. Sometimes that’s all you need to land an interview. Benjamin Franklin, Lewis Carroll, David Hume, and Marcel Proust. Wow, that’s an impressive squad. Now, take a guess: what do these guys have in common? Superior intelligence and creativity? Remarkable logical thinking skills? They all worked as librarians. And once you start thinking about it, it’s not that surprising, right? The best librarians need to possess an incredibly varied set of skills. They’re true renaissance people. And the library employers know it well. They need your skills. So it doesn’t matter if you’re writing a school library resume, a reference library technician resume, or even if you’re applying to be a library volunteer. Your skills section has to impress. Please, don’t fret. We’ll show you exactly how to make it happen. Create a spreadsheet. Think about your librarian skills. List all of them in your spreadsheet. Well, you obviously can’t mention all your skills. It would make your librarian resume read like the Codex Seraphinianus – interesting but futile. Read the job description carefully. Look for skills-related keywords and highlight all of them. Go back to work experience and education sections of your librarian resume. Check if you can match some of those skills with previous jobs or your coursework. Now for the the finish touch – add them to the skills section too. Plus, relevant extra ones. The candidate didn’t enter all of her skills. Neither did she refer to each and every skill required in the job description. She linked the skills that she has to those the employer expects of her. And she made sure to provide examples that prove her proficiency. That’s exactly what a tailored skills section on a professional resume for librarian candidates should look like! ProTip: It’s a great idea to read through various library job offers, not only the one you’re applying for. You’ll get the picture of what’s usually valued by library employers. Fine, it’s not T. S. Eliot. I lied. But so do candidates on their resumes. They embellish their achievements, exaggerate the importance of their responsibilities, overestimate their language skills. The recruiters expect it and read everything with a pinch of salt. What recruiters are looking for in a librarian’s resume is proof they’re telling the truth about their assets. Luckily, there are some unquestionable triumphs that you can show off in an additional section of your librarian resume. ProTip: It’s fine if you repeat some information from previous sections. It makes your resume more consistent and believable. Don’t worry if you’re just at the beginning of your librarian career and can showcase none of the above. A good entry-level librarian resume can still benefit from an additional section. You think you don’t need a librarian cover letter? Sorry, but you need to categorize that as FICTION. There probably is this one thing that you really wish the recruiters paid close attention to. Something you’re really proud of. Can your librarian resume make that happen? Well, the truth is, sometimes it can’t. That’s where a cover letter for a library job comes in. The perfect resume for a librarian reads like Encyclopædia Britannica. Facts and figures. A good librarian cover letter tells a great story. It highlights the protagonist’s special achievements. It can explain that three-month gap in employment. Finally, it can show that you’re a cultural fit for the library you’re applying to. ProTip: As a librarian, you’re expected to have great research skills. Demonstrate them! Look up the recruiter’s name and address your librarian cover letter directly to them. Personalized cover letters are a perfect way to prove that you’re not just flooding random libraries with your applications. Out of 10 recruiters, 4 won’t even open your resume if there’s no cover letter attached. Sound like a gamble you want to take? Landing a job with a library is tough nowadays. Employment grows at a rate 4% below the national average. And it gets worse: most of the categorizing and cataloging tasks can be performed by library software. Show off your additional skills: teaching, people management, or fundraising. Remember to mention your IT skills. If you’re a librarian nowadays, you’re either tech-savvy or out-of-work. Tailor your resume to the job description. Make sure to use the right keywords. Just don’t stuff the resume with whatever is expected of you. Highlight those skills that you do have. Use action words whenever possible. Add numbers to highlight your measurable achievements. Do you have any questions on how to write a librarian resume? Not sure how to describe your skills or achievements? Give us a shout in the comments, and we’ll answer your question. A guide to writing a perfect research assistant resume. 20+ actionable examples and expert tips you can use today. 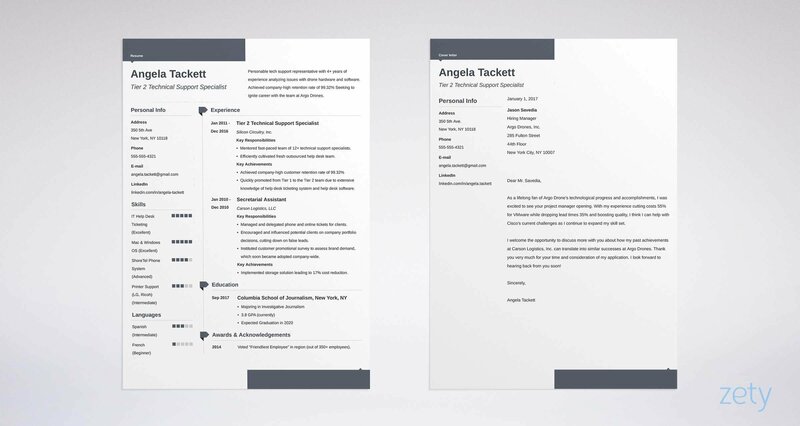 Use our research assistant resume template and sample. Read more!